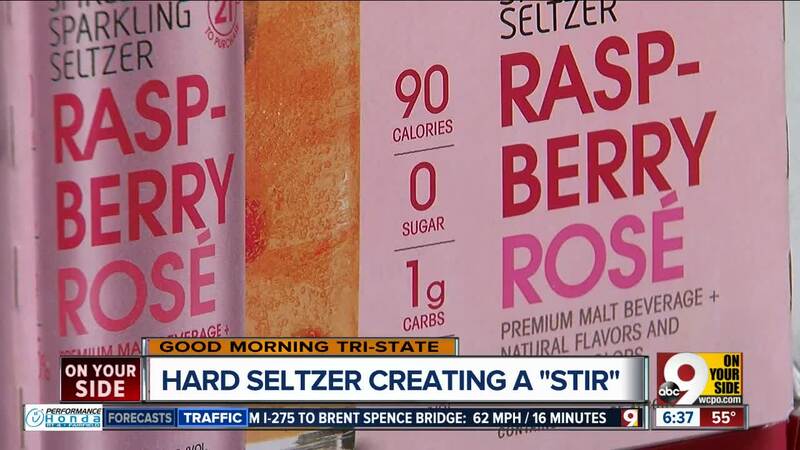 Some Tri-State bars went from ordering one case of hard seltzer to 20 with more health-conscious consumers interested in the trend. CINCINNATI, Ohio — Troy Tunney knows the importance of appealing to his customers as the manager of O'Malley's in the Alley, a popular downtown Cincinnati bar and hangout. 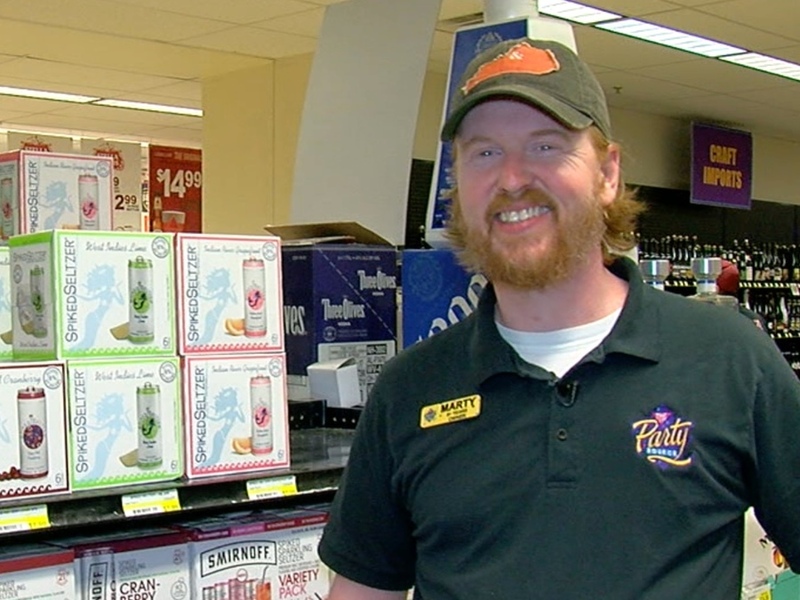 The Party Source in Bellevue, Kentucky is a "go-to" for partygoers. 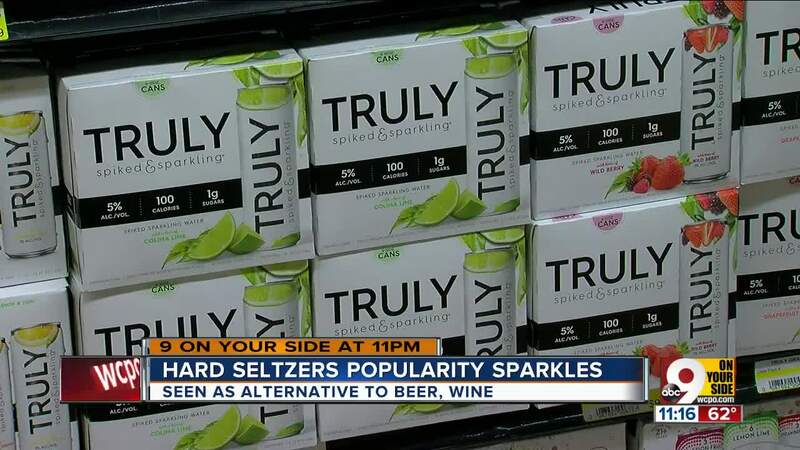 It’s no surprise that Assistant Store Manager Marty Holland noticed the hard seltzer trend early on. The high demand drove bars like O’Malley’s in the Alley in Cincinnati to begin offering the alcoholic beverage. According to White Claw’s website , one 12-ounce serving has 100 calories, and 2 grams of carbohydrates and sugars per serving size. One 12-ounce bottle of Bud Light has 110 calories, but 6.6 grams of carbohydrates. "She said it's the same amount of alcohol as a beer," Fishburn said. "So I said, ‘Okay, I'll try one.’ And that's when I really fell in love with them — started drinking them more." A 12-ounce can of White Claw is 5 percent alcohol, compared to one 12-ounce bottle of Bud Light which is 4.2 percent alcohol. Hot, cold — seltzer or not — always remember to drink responsibly.